Exploring Intercultural Communication investigates the role of language in intercultural communication, paying particular attention to the interplay between cultural diversity and language practice. This second edition increases and updates the coverage on emerging key topics, including symbolic power, communicative turbulence, conversational inequality, stereotypes, racism, Nationality and Ethnicity talk and the impact and role of technology in intercultural communication. 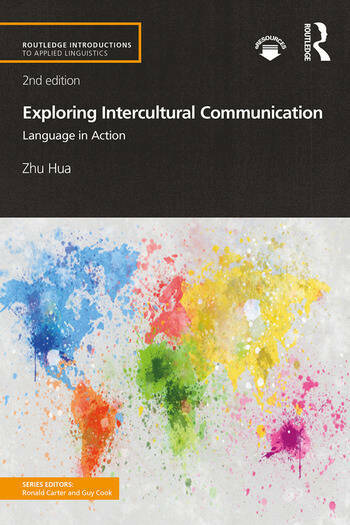 Including global examples from a range of genres, this book is an indispensable resource for students taking language and intercultural communication modules within applied linguistics, TESOL, education or communication studies courses. 6 What are culture-specific ways of communication and why? 8 What contributes to successful communication? 11.1 Compositional approach: culture as a collection of things shared by people. Zhu Hua is Professor of Applied Linguistics and Communication at Birkbeck, University of London, UK. She has published extensively on multilingual and intercultural communication and child language. She is forum and reviews editor of Applied Linguistics and joint series editor of Routledge Language and Intercultural Communication Series and Cambridge Key Topics in Applied Linguistics Series.